The 1989 film Shirley Valentine, starring Pauline Collins, was a huge hit when it came out. It told of a frustrated English housewife going on holiday to Greece and meeting a romantic and handsome Greek waiter and falling head over heals. However, the relationship eventually turns out to be a bad one as the romantic advances of Costas, played by Tom Conti, are not solely aimed at Shirley. Although only a film, it turns out that the experiences of modern day women abroad are also negative when it comes to the attentions of Romeo restaurant staff. 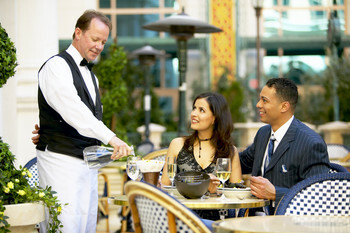 One in five women admit to being bothered by the over zealous attentions of waiters while on holiday. One in seven men said they had felt they had to step in when they noticed this was happening to single and attached women they were travelling with. 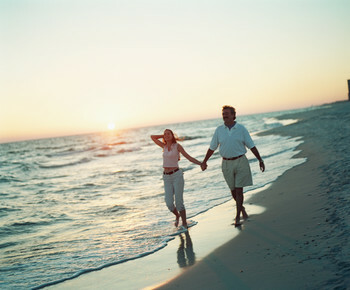 According to a survey by rental company HouseTrip.com, this makes it into the top ten reasons why holidays are ruined. Amongst the other top ten reasons are hidden charges, lack of space, stag parties and rude staff. Although it does have to be said that big incidents are also a major cause for spoiling your holiday abroad. Robberies, accidents and injury can all be single causes for a holiday from hell. That’s why it is always such a good idea to get comprehensive travel insurance before you go anywhere. Hopefully your holiday won’t be ruined by a waiter overstepping the mark or a nasty injury. However, while you might have to deal with the waiter yourself (or get your husband or boyfriend to step in for you), you are likely to need the right travel insurance cover for a serious injury or accident. Henry Cavill emerges as most wanted candidate for a holiday romance.